The agencies supposed to protect the living world have been neutered, and polluters and wildlife destroyers now have a free hand. It could scarcely have been a starker case. The river I came across in Devon six weeks ago, and described in the Guardian, was so polluted that I could smell it from 50 metres away. Farm slurry pouring into the water, from a pipe that I traced back to a dairy farm, had wiped out almost all the life in the stretch of River Culm I explored. 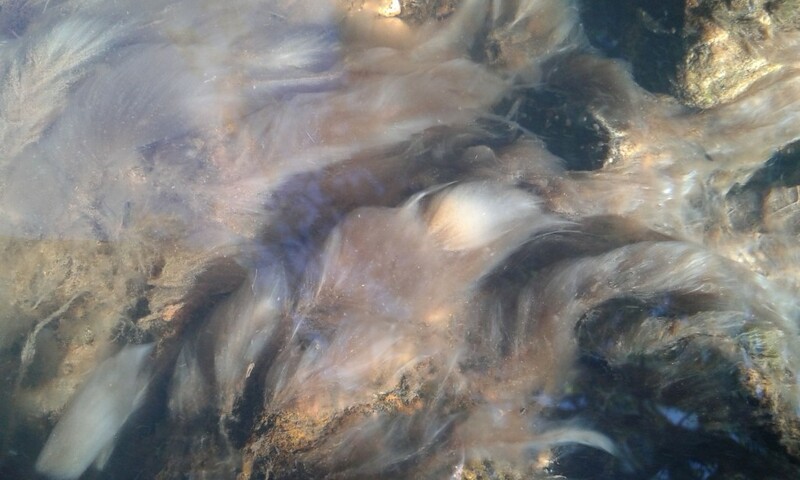 All that now grew on the riverbed were long, feathery growths of sewage fungus. 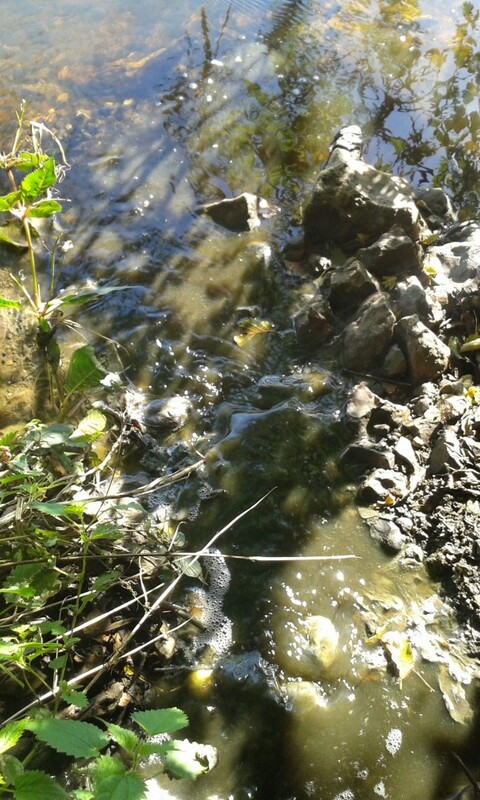 An expert on freshwater pollution I consulted told me that the extent of these growths showed the poisoning of the river was “chronic and severe”. I reported the pollution to the Environment Agency’s hotline. It told me it was taking the matter seriously. So when I received its report on the outcome of its investigation, I nearly fell off my chair. It had decided to take no action against the farmer, as “the long term ecological impacts on the environment were fortunately low”. How did it know? Because there was “no evidence of a fish kill”. Why in the name of all that’s holy should there be evidence of a fish kill? This is a chronic pollution case, not an acute one. Fish kills are what you see when a sudden poisoning occurs, as pollutants are flushed into a healthy living system. Chronic pollution deprives fish of their habitats and prey, but no investigator in their right mind would expect to see them floating belly up in the river as a result. They are simply absent from places where you would otherwise have found them. And if a riverbed covered in nothing but sewage fungus suggests a “low” ecological impact, I dread to think what a high one looks like. The same inability to distinguish between an acute event and a chronic one was revealed by another of the agency’s statements: the pollution “had a short term impact”. The slurry had plainly been pouring out of the pipe for months, as the luxuriant growths of sewage fungus show. It would doubtless have continued, had I not reported it. The Environment Agency also told me that it had inspected the farm, and found no problems with the infrastructure, as there was plenty of space for slurry storage under the floor of the barn where the cows were kept. But, the problem, as I had explained to them, had nothing to do with slurry storage in the barn. 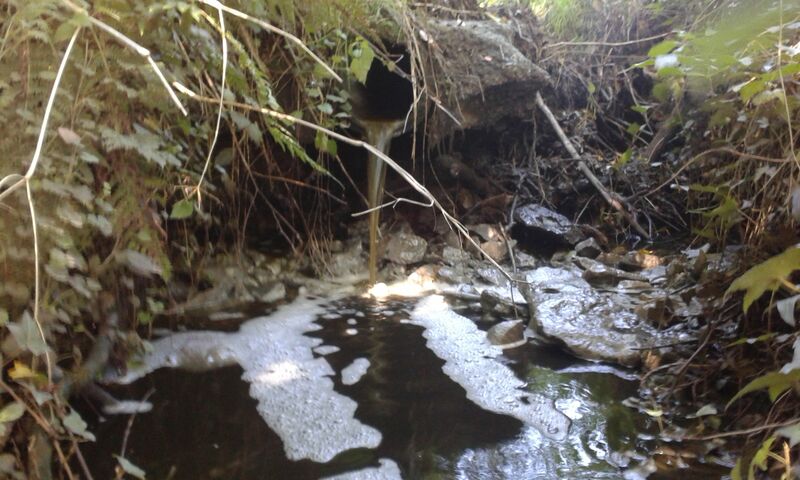 It was caused by leakage from the outdoor slurry lagoons, where I found cow manure pouring down the hill. They could scarcely have made a bigger mess of their investigation if they had tried. The mistakes the agency made are so fundamental and so obvious that it makes me wonder whether they are mistakes at all. What does a farmer have to do to get prosecuted these days, detonate an atom bomb? If this were an isolated case, you could put it down to ineptitude, albeit ineptitude raised to the status of an Olympic sport. But responses like this are now the norm at the Environment Agency. It has been so brutally disciplined by cuts and by ministers’ demands that it leave farms and other businesses alone that it is now almost incapable of enforcement. Even when the fish kills it appears to see as the only real proof of pollution do occur, in the great majority of cases it doesn’t even bother to assess them, let alone investigate and prosecute. Freedom of information requests by the environmental group Fish Legal reveal that the agency sent its investigators to visit just 16% of reported fish kills. There was massive regional variation. While in the Anglian Central region, covering parts of Norfolk, Cambridgeshire and surrounding counties, the agency inspected 61% of these events, in Devon they investigated only 3%. (I suspect that it was only because I’m a journalist for a national newspaper that they came out at all in the case I reported). In the fishery areas on either side of it – Cornwall and Wessex – the inspection rate was, er, 0%. If you want to pollute rivers in these regions, there’s nothing stopping you. The Environment Agency no longer prosecutes even some of the most extreme pollution events. In 2013, a farmer in Somerset released what the agency called a “tsunami of slurry” into the Wellow Brook. One inspector said it was the worst pollution she had seen in 17 years. But the agency dithered for a year before striking a private agreement with the farmer, allowing him to avoid prosecution, a criminal record, a massive fine and court costs, by giving £5000 to a local charity. New rules imposed by the government means that such under-the-counter deals, which now have a name of their own – enforcement undertakings – are likely to become more common. They are a parody of justice: arbitrary, opaque and wide open to influence-peddling, special pleading and corruption. I see the agency’s farcical investigation of the pollution incident I reported as strategic incompetence, designed to avoid conflict with powerful landowners. Were it to follow any other strategy, it would run into trouble with the government. These problems are likely to become even more severe, when the new cuts the environment department (Defra) has just agreed with the Treasury take effect. An analysis by the RSPB and the Wildlife Trusts reveals that, once the new reductions bite, the government’s spending on wildlife conservation, air quality and water pollution will have declined by nearly 80% in real terms since 2009/10. It’s all up for grabs now: if you want to wreck the living world, the government is not going to stop you. Those who have power, agency, money or land can – metaphorically and literally – dump their crap on the rest of us. Never mind that the government is now breaking European law left right and centre, spectacularly failing, for example, to ensure that all aquatic ecosystems are in good health by the end of this year, as it is supposed to do under the water framework directive. It no longer seems to care. It would rather use your tax money to pay fines to the European Commission than enforce the law against polluters. I’ve heard the same description of Liz Truss, the secretary of state for environment, who oversees the work of the Environment Agency, from several people over the past few months. “Worse than Owen Paterson”. At first, I refused to take it seriously. It’s the kind of statement that is usually employed as hyperbole, such as “somewhere to the right of Genghis Khan”, or “more deluded than Tony Blair”. But in this case, they aren’t joking. Preposterous as the notion of any environment secretary being worse than Mr Paterson might seem, they mean it. Nowhere, as far as I can discover, in Liz Truss’s speeches or writing before she was appointed, is there any sign of prior interest in the natural world or its protection. What we see instead is perhaps the most extreme manifestation of market fundamentalism on this side of the Atlantic. She founded the Conservative Free Enterprise Group, and was co-author of the book Britannia Unchained, that laid out a terrifying vision of a nation run by raw economic power, without effective social or environmental protection. Now she has a chance to put that vision into practice. Those who have tried to engage with her describe her as indissolubly wedded to a set of theories about how the world should be, that are impervious to argument, facts or experience. She was among the first ministers to put her own department on the block in the latest spending review, volunteering massive cuts. She seems determined to dismantle the protections that secure our quality of life: the rules and agencies defending the places and wildlife we love. Bureaucracy and regulation are concepts we have been taught to hate, through relentless propaganda in the media. But they are essential pillars of civilisation. They make the difference between a decent society and a barbarous one.